Kentucky, Wisconsin, Michigan State, and Duke. John Calipari, Bo Ryan, Tom Izzo, and Mike Krzyzewski. All household names and they’re all back for more. No cinderella teams here, but no shortage of excitement. Matchup wise, this should be one of the best Final Four’s we’ve had in a long time. Let’s check out our semifinal games we’ll be watching in Indianapolis this weekend. Nobody is having more fun than the Wisconsin Badgers right now. I mean nobody. With white boy moves like that, I don’t know how you could root against Frank Kaminsky and the Badgers. They’ll be going up against the almighty Kentucky Wildcats who currently sit at 38-0 on the season. Coach John Calipari and his team is coming off a 78-39 beat down of the West Virginia Mountaineers where they looked better than ever. It was a scary sight to see Kentucky firing on all cylinders. They looked basically unbeatable while toying with West Virginia. But hey, somethings gotta give, right? Wisconsin is a team that lives off of their runs. Before downing North Carolina, the Badgers were struggling to put together their half court offense. But all of a sudden, back to back threes and boom, a little run follows and the Badgers are up two and never look back. If the Wildcats can contain Sam Dekker, Frank Kaminsky and Wisconsin’s mini runs, they’ll be just fine. But if Wisco gets it rolling, Coach Calipari and his Wildcats could be in for a hell of a ballgame. I’ll take the Wildcats, but my heart is without a doubt rooting for the fun-loving Badgers and their wonderful white boy dance moves to continue. Side note: Aaron Harrison hit a game winning three for Kentucky to beat Wisconsin in last year’s Final Four. It doesn’t get much better than Mike Krzyzewski and Tom Izzo going head to head in the Final Four. When it comes to coaching resumes, these guys have two of the greatest of all time. Michigan State comes in at a seven seed which is definitely lower than we normally see the Spartans in March. They may be a seven, but Tom Izzo is always a one seed in March and that’s a fact. 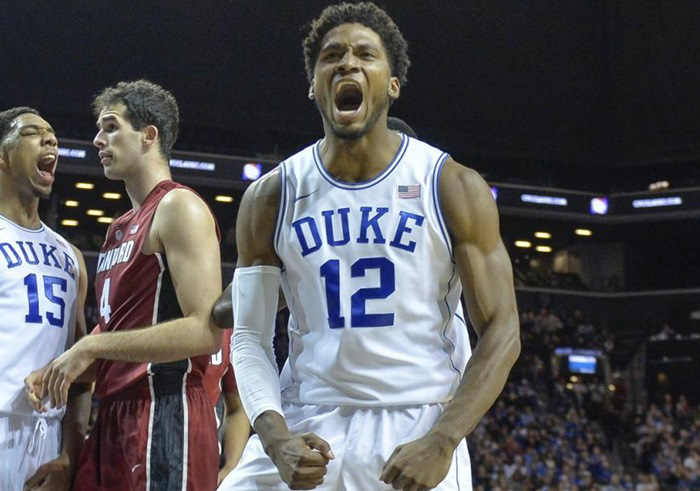 He’ll be facing an extremely sound Duke squad led by freshman sensations Jahlil Okafor and Tyus Jones. Add in defensive enforcer (potential serial killer) Justice Winslow, and you have one of the most well-rounded lineups in the country. Michigan State is hot, but I’m not so sure they can matchup well at all five positions. 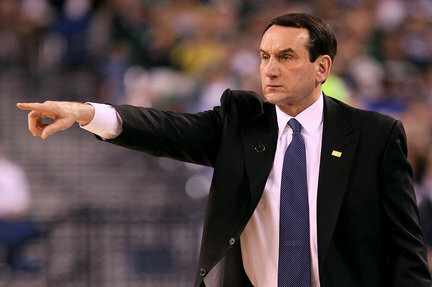 From a pure coaching standpoint, this game will be close but I think Duke pulls away late and takes the win. If you want to pick against this guy be my guest. That’s just not on my to do list. Happy Final Four week everyone. Here’s some more Frank Kaminsky dancing to help get you to the weekend. When it comes to the way the NCAA treats their student-athletes, I cannot put into words the frustration I feel. These so-called “student athletes” are borderline slaves to their universities. I could write a million word rant about this absurd argument filled with angry sentences, bold letters, and maybe even some italics. However, rather than putting you through that, I will leave you with this 20 minute clip from Last Week Tonight with John Oliver. Yes that means 20 minutes away from Netflix, Facebook stalking, and Instagram, but I promise you this is worth the watch.